#casesforcoolpeople . That's the tagline for this unique home-grown brand that offers amazing choices of phone cases. I am hooked by their collection & I am an avid phone cases changer. I change my phone cases in my mood. Usually, cute cases are expensive but glad I discovered them. Cases by WF designed all the cases with the love of colour, collage, pop culture and weird stuff. 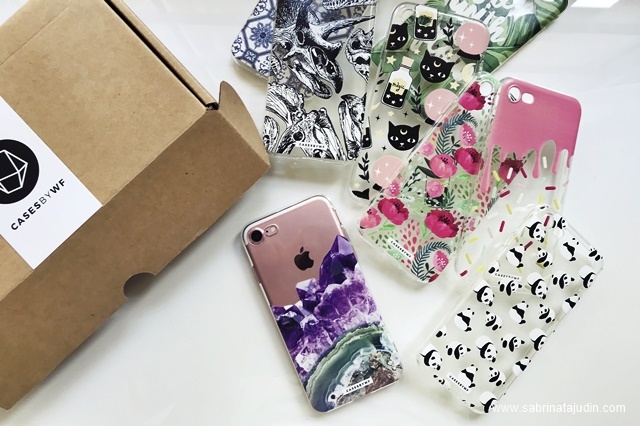 All cases are made of high-quality sturdy plastics and art printing method. All designs are made in-house by their designers, not some kind of copy-paste graphic okay! They are exclusive! All cases come in their signature packaging which I find very nice! It can be a great gift for friends and family. Delivery is fast as my order only took 1 day only. All orders are posted via PosLaju. All of the cases are ready stock, no waiting game! I'm impressed with the quality of the cases itself! It is made out of High-Quality Clear Soft TPU Rubber. The patterns are printed on top of it and the colours are pretty vibrant. The covers the side of the phone body as well and has a very lightweight feel to it. The case fits perfectly on to my phone but still easily removed. Available for iPhone, Samsung, Oppo, Vivo & Huawei cases. Here is my entire collection from Cases by WF. 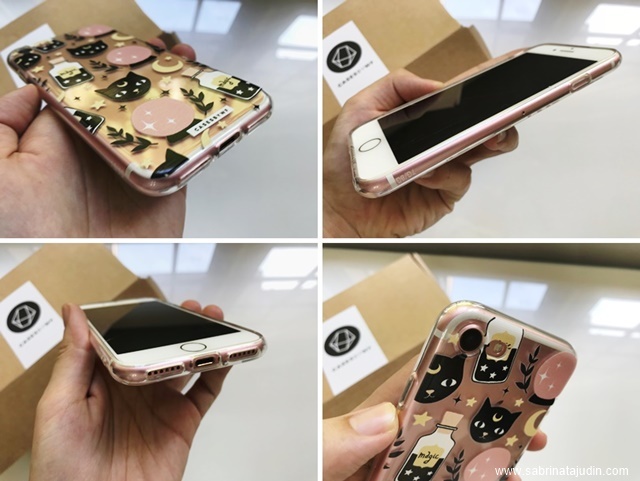 Maybe it can help you to choose on which cases look best on a Rose Gold iPhone 7 body. Each case retails for RM39.00 (exclude postage). I got mine during their 4 for RM100 sale. Promotion changes from time to time, so do follow their Instagram to make sure you won't miss a great offer! Newest technology from Bata is the new B-Flex shoe collection. B-Flex shoe line, an extraordinary combination of technology, design and comfort. The advanced technology is developed in the innovative studio of Alberto Del Biondi. With the combinations of Elegance and durability, flexibility and stability, beauty and resistance in one pair of shoe and that us the BATA B-Flex. I went to One Utama the other day to check out the shoe range. I wanted the heels but I guess I wanted a more casual shoe. I have a trip to Langkawi this month to watch my father's sports event so I guess, I need a comfy shoe to walk around! So I picked up one of the shoes from the B-Flex collection. There are many options of shoes in the B-Flex collections. From sporty to casual, to professional. You can recognize BATA B-Flex shoes by looking at the sole of the shoe which have the Orange "X" logo on it. So shoes with this sign are made out of B-Flex technology. The BATA B-Flex has a flexible technology which perfects for all day wearing. Each shoe has a special insole that absorbs shock, an anti-slip rubber sole on the base, scratchproof & waterproof but still comfortable and breathable. Also, there is a collection for men too! Each shoe are definitely made with quality and love! I got mine in the B-Flex Women Platinum Sneakers. I love how it gives me height and how comfortable they are when wearing even without socks. The show lace is actually made out of rubber that stays in place without needing me to tie my shoe all the time. I have that problem! XD This shoe is made out of SUEDE TECH Upper & EVA Outsole. You can purchase BATA B-Flex at these BATA outlets. 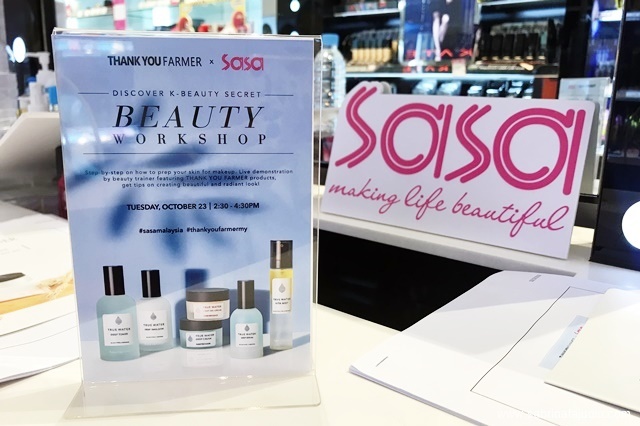 Thank You Farmer Workshop at Sasa Malaysia | Skincare Routine Steps! 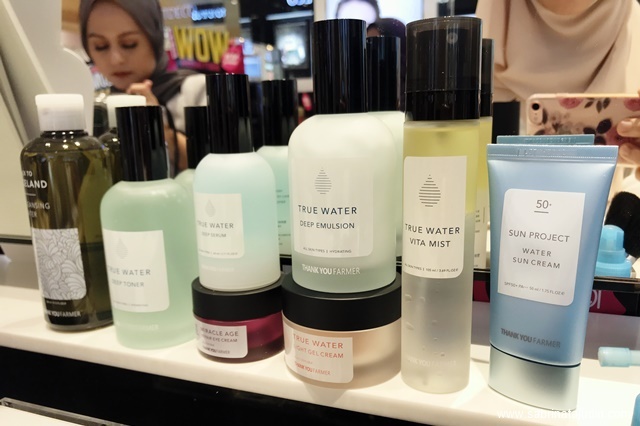 Last Tuesday I went to Sasa Sunway Pyramid to catch up with their skincare workshop! I heard about THANK YOU FARMER before but I haven't tried their products. So I am pretty excited to have the chance to learn more about the brand. THANK YOU FARMER is a Korean Beauty brand that really prioritizes on what they formulate in their skincare. The values THANK YOU FARMER has learned from farmers. Its all about Honesty, Earnestness & Gratitude. They believe that the farmer is the most honest person who follows the law of nature. They can get healthy grains & fruits from nature as much as their sweat & endeavours. Their goal is to achieve balance for healthy skin slowly & naturally without burdening the skin. If you love beauty products that have Precious effective natural ingredients, High-performance and effective, Determination of quality & Developed from a mild formula, well THANK YOU FARMER is what you are looking for. I am going to share with you on what I learnt from the workshop! I STAN BY THIS! The first step is all about keeping the skin clean and ready. 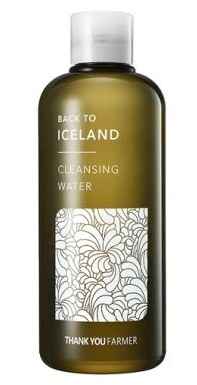 During the demo, she showed us a product called Back to Iceland Cleansing Water. It comes in a huge bottle of 230ml. This cleansing water contains ingredients such as Iceland Moss & Natural Extracts that helps skin feeling hydrated even after removing the dirt from your face using a cotton pad. This cleansing water is a 5-in-1 product. It helps to removes makeup, exfoliate, brighten, pore care & acts also as a toner. It is also safe for sensitive skin. The second step is Toner. Skincare steps are all about from the lightest to the thickest. That is why we start our skincare routine with a liquid type product and that is toner. The toner that she showed us is the THANK YOU FARMER True Water Deep Toner. The key ingredients in this toner is Inositol, a natural moisturizing vitamin (B5, B8) derived from rice bran that helps with your skin hydration, sebum control, and improves dry skin. Second key ingredients are Hyaluronic Acid, the most famous ingredient and know for its hydration power. Use a cotton pad and swipe from the inner to the other side of your face. This will gives you instant moisturization, soothing & boosting to the skin. The key to any skin problem is always hydration, hydration, hydration! Hydrated and Moisturizes skin helps skin heal and making it look healthier! The 3rd steps consist of serum, eye cream, Emulsion & Cream. In this steps, you can try THANK YOU FARMER True Water Deep Serum, Miracle Age Eye Cream, True Water Deep Emulsion & True Water Light Gel Cream. Top it off with a protection. Remember, Sun Block is IMPORTANT! 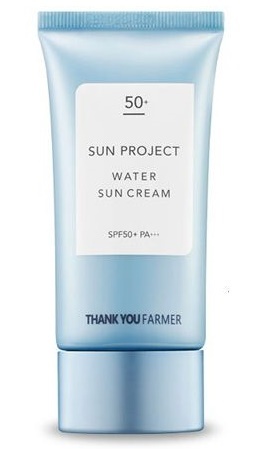 The THANK YOU FARMER Sun Project Water Sun Cream is the perfect sunscreen for people who have dry skin. It has a smooth creamy texture and does not leave the skin feeling sticky & white cast effect. The key ingredients of this sunscreen are Phyto-Oligo & Natural Extracts such as bamboo water & Asiatic pennywort extracts. After that, you can continue your routine with your favourite daily makeup steps. If you wanna go natural, try this step. She showed us 2 product that would complete your daily face makeup routine. The first is the Be Beautiful Pure Makeup Base SPF30 PA++ in Green. It helps reduce redness on the face with its colour correcting properties. Then you can use a BB Cream. THANK YOU FARMER Be Beautiful Natural BB Cream SPF30PA++ gives a good amount of coverage as well as keeping the skin hydrated. Lastly, set it with a face spray. Try the True Water Vita Mist. This helps your skin hydrated all day long and bring this along with you for on the go refreshing touch up! I used to hate wireless headphone just because I always forgot to charge it. But my wired headphones cause a lot of tangled situations and also I always forgot that I am wearing it and when I stand up, my laptop flop all over my table. Clumsy I am. I decided to give the new truly wireless earphones collection from Sudio. A Sweden based company that is very passionate about the headphone. they truly are. In the package you will get the charging case, a USB cable for charging, 3 pairs of different-sized sleeves, manual & of course the earphones. 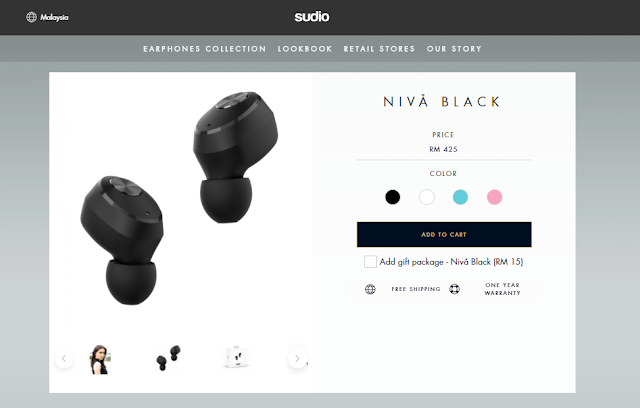 The Sudio NIVÅ earphone features 3.5 hours of battery life. &comes with a cool stylish portable charging case. It can also be used as a case to protect your earphone whenever you go. During on the go, you will get an additional 4 charges time. That means a total of 17.5 playtimes. Simply plug on the case hole and it will light up a red light and that means it is charging. It has a very sleek minimalist look and perfect for youngsters who are into stylish headphones. It comes in 4 different colour options to choose from. I love how quality the whole package is, it really has that nice good product vibe kinda thing. The case is everything, you can bring it anywhere, charge it just like bring a power bank. Remove Underarm/Leg/Bikini Hair, PERMANENTLY using Laser Light Method. Last few weeks I decided to go for a permanent hair removal for my underarms. I get tired of the need to shave it every week. Haha. Waxing does not work for me especially for my underarm area because of the non-flat surface which makes it hard to do. Also shaving cause my underarm to darken and look dull. Even I don't show my underarm to the public, well self hygiene and self care is not a wrong thing to do right? When we feel clean, we feel great! I usually heard about this permanent hair removal service which uses the IPL method. It's painful and the downtime is longer. Then I was introduced to a new painless method called the THOR laser light. Guess what, its painless and does not have downtime. Awesome! Hairy Mary is the first hair removal salon in Malaysia that provide treatment. As I arrive, Dr Por greeted me and give me a quick explanation of the treatment. I learn a lot about it and what I could expect on the outcome. What is THOR hair removal? Thor Technology is using the latest light laser energy and is one of those amazing medical innovations of the last decade that makes life more convenient. No more waxing, shaving, plucking, No more conventional IPL, ingrown hairs or skin irritation! Freezing Thor combines the light laser energy with our cool freeze system which brings your temperature down to -5 to -10 degree Celsius. It allows an even distribution of continuous energy in a moving motion, delivering an adequate amount of energies to the hair follicles and effectively destroy it permanently. The energies delivered are pinpoint to the hair follicle, without damaging the surrounding tissues, thus giving you a painless and hassle-free treatment. Thor technology is very precise, which is why it is suitable for any area of the body – face, underarms, legs – for males and females of all skin types. It is Safe, Efficient & Pain-Free! 1. How the procedure goes? It is so simple and fast! I was asked to change my clothes and just wear a towel. No worries! All of the staff there are women! Then I went to the room. Advise shave your hair before the procedure to fasten up the process. Then they started by applying this cooling gel on the skin surface, then they started going around the surface of my underarm using the laser tool. 2. How does it feel like, Does it hurt? 3. How many time do I have to come to completely get my hair permanently removed? On 1st treatment your hair would not completely be removed permanently, depends on your natural body hormones, you should get your hair completely permanently removed after 8-10 visits. But even in my 1st visit, I already started to see my hair grow even slower than before. 4. Who do you recommend it is for? Anyone who would want your hair permanently removed in such a fast and painless treatment. It only takes 15mins! 5. What is your feedback on your 1st visit? I found that after a week, my underarm hair still grows but slower than usual. My underarms look lighten too. One session cost between RM150-900, depending on the area, but currently, they are having a promo! Hairy Mary is founded by Dr Por Yang Sheng. Dr Por is very passionate & have high interest in Aesthetic treatments. He served the government hospital for 10 years & his medical career at Hospital Kuala Lumpur as a houseman, and medical officer at Hospital Tengku Ampuan Rahimah in Klang. He started his own Aesthetic clinic, the YS Clinic in 2014. Then he got inspired to open up a Hair Removal Service Clinic after heard so many unsatisfying results by friends & family even after numerous visits. Customer satisfaction has always been one of Dr.Por’s 1st priority, & this led him to open up the ‘Hair Removal Treatment Centre’, Hairy Mary, that focus on a true result with affordable price. Hairy Mary is located at Level 2, Garden shoppe @ One City, USJ 25/1A,, 47650 Subang Jaya. Selangor. Right above YS Clinic. So simple WAZE YS Clinic to go there. Open from 10am to 7pm. I first tried Jayeon Mask a few months ago when I bought it through Hermo 612 Sale. I bought the one in Raspberry and of course why? Because it looks aesthetic and its pink. Hah! Then I get the chance to try the other 2 types from Jayeon sheet mask range. I love sheet mask! I will try to wear them when I am doing something and this just make time flies faster and I can do 2 things in one go. As a mom, I need to take care of my family and workloads. Usually, I will wear it after I took a shower and while wearing it, I will do some house chores or some play time with my son. I am going to give a quick review of each mask that I tried here. My favourite of all 3! I find that it hydrates very well and makes my skin glow better upon makeup application. Main Active Ingredients: Noni (Improve Skin Health & Anti-oxidant), Raspberry (Protection & Brightening), 6 Types of Plant Extracts: Cornflower, Starflower, Lavender, German chamomile, Clary & Hyacinth.